Before actually purchasing Small World, there was a lot of discussion about when we would move on to the boat. 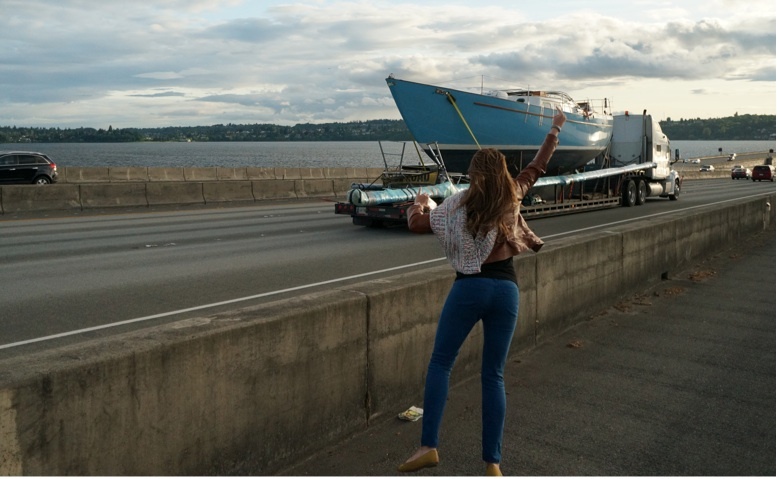 Do you move on as soon as you get the boat? Do you maintain your landlubber status until you’re ready to truly cast off your bowlines? As with most topics, the internet has plenty of adamant opinions. You should move on board immediately so you get to know your boat inside and out. You shouldn’t move on board immediately because you’ll accumulate too much stuff and it will be difficult to cull and set sail. It goes on and on. Over the years, we have learned that even when we research things like this, we never know how we will act until we are in the moment. 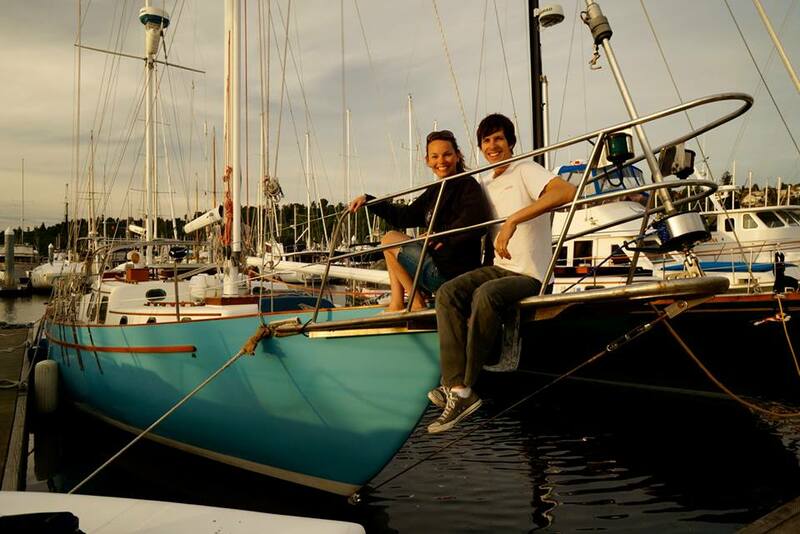 We couldn’t justify paying rent and moorage each month when our boat was meant to be a home. We lived in a 2700 sq ft house and now we were moving onto a 42ft boat. Bring on Craigslist, yard sales, and Goodwill donations! Luckily, we have some friends and family that believe in our dream and were willing to support us in various ways. Just because we were doing this to follow our dream doesn’t mean that it was an easy process. Like most everyone else, we have emotions, memories, and buckets of nostalgia hidden in so many random items that have been collected over the years. Going through everything takes time. It takes a lot more time when I end up looking through every single photo. Getting rid of stuff was easier for Craig than it was for me. Partially because he has less stuff than me, partially because I am hyper nostalgic and physical items bring back so many memories that I’m terrified of losing. Gifts from friends and family, tickets from concerts or games, books from my childhood (i.e. my best friends from way back when)… they are my kryptonite. I don’t think I’m on par with a hoarder… yet. Our move went in phases. First we moved from the house we were renting in the Beacon Hill neighborhood into a house in Capitol Hill with a couple friends. (Yes. Married with roommates. I think it would be a good sitcom or reality TV show.) It was the first step in getting rid of stuff. 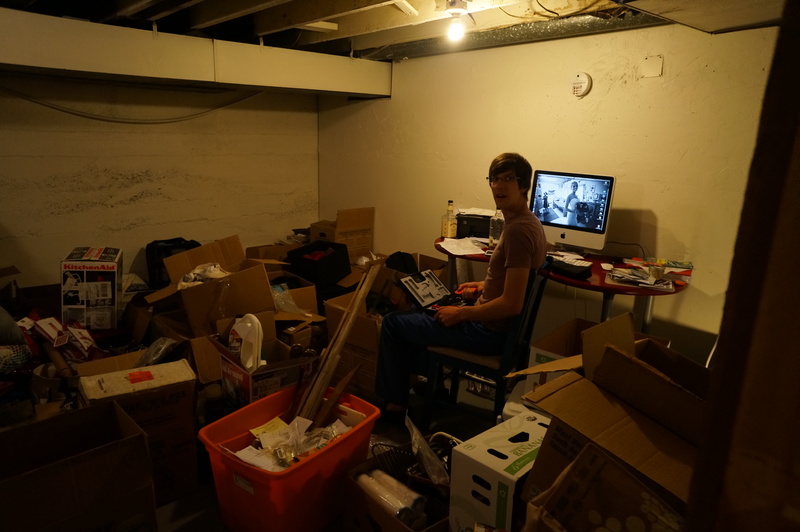 The Capitol Hill house had a lot of storage room though, so the pressure to get rid of everything wasn’t at full force yet. Chase helped us sell most of our furniture on Craigslist (HUGE help), and we had a super successful yard sale. Now we get to visit some of our former belongings at friends houses. It’s like it stayed in the family. Moving onto the boat came a few (very stressful) months later. We continued going through and getting rid of things. We also coordinated the purchase and delivery of our boat. 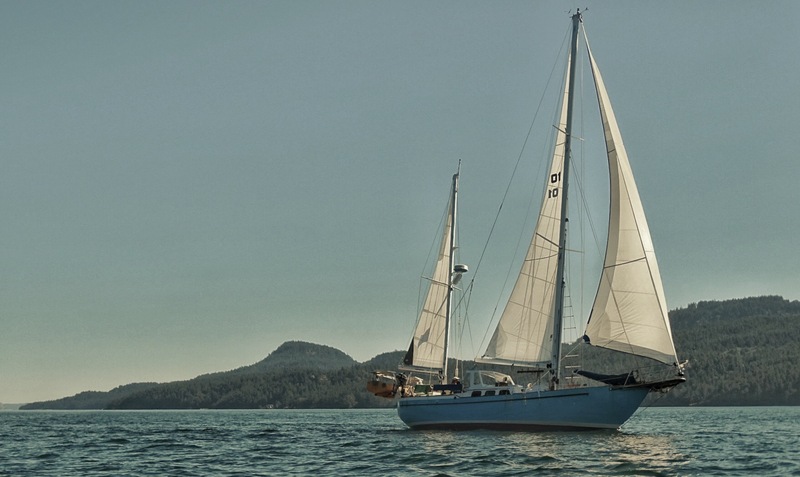 While we’ve sailed many thousands of miles, we’ve never owned a boat. Let’s just say that our learning curve has been very, very steep. I’ll go into detail on all of that process in another post. Just know that all of 2013 has been stressful leading up to getting moved onto the boat. The last load of stuff to move to the boat (for now)! 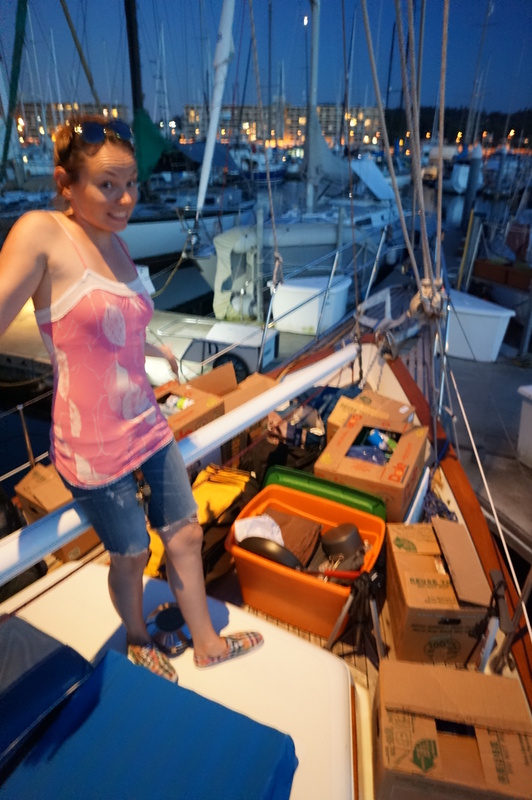 In order to move aboard, we first had to take everything off the boat. When you buy a house, it is empty. When you buy a boat, that’s not necessarily true. 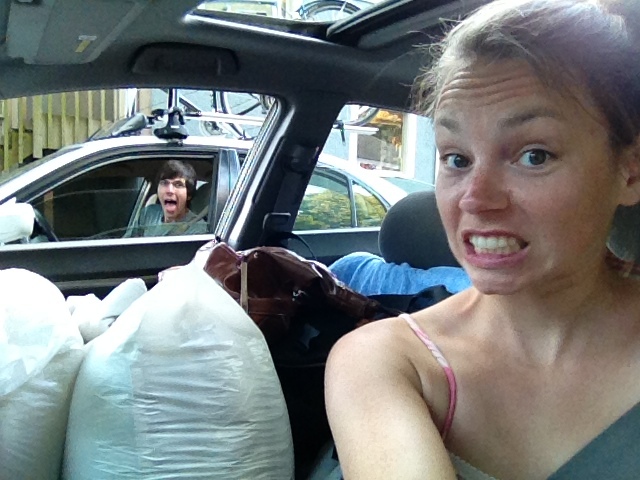 There were at least a dozen boxes of random things stowed away. Some of it is very useful (spare parts) while some ended up in the trash (super old chemicals). Once everything was off the boat, we did a deep clean. (Some very lovely assistants helped in this phase and we are so grateful!) We could FINALLY start moving our own stuff onto the boat. No more room for boxes down below! It’s still not done though because within 3 days of officially living in (on) our new home, we had guests lined up for 3 straight weeks. Ashley, Emily, and Lauren were a big motivation for us to get things in order. Now that they’ve left, the boat is a bit quieter, feels a bit bigger, and there’s no excuse for putting off the to-do list. As I type, Craig is cutting holes in the boat. Thankfully it’s above the water line, but it is directly above the engine room. We also need to replace our large hatches to ensure they are watertight. There’s also work to be done on the heating situation. The list goes on and on. As former renters, we were used to reporting issues and having someone else fix it. Now it falls to us and our wallets. Talk about a reality check. At this point we have lived on the boat for a month and I’m not sure about Craig, but it still seems surreal that we own and live on a boat. This summer has been gorgeous so it’s almost like we’ve started our journey. I’m not sure how the winter will feel. Let’s hope we check off some of those items on the to-do list. dear kraigle ~ thank you for including the photo of both of you on your new home… the stress of moving aboard is not apparent on your smiling faces!